Thomas Jay Danner, age 70 of Joplin, unexpectedly passed away on Tuesday, June 26, 2018 at his home in Portland, TN. He was born to the late J. C. Danner and Melba Fleming Danner on September 12, 1947. Tom graduated from Carthage High School in 1965 where he played for the CHS football team. He attended Missouri Southern State University and graduated in 1970 with a BS degree in Education. 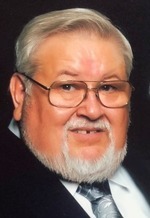 Tom was a member of many organizations throughout his life. He was active in the DeMolays during his teens where he earned a Chevalier degree, the Legion of Honor and served as the Jurisdictional Master Counselor for the State of Missouri. He was an Executive Chef and Educator for most of his professional life. He began in the food industry in the 70’s, which was his passion. From 1991 to 2001, he owned and operated TJ Mots Restaurant and Catering where he won an Excellence in Business Award and received the Missouri Restauranteur of the Year Award in 1995. As an Educator, he was a coach for the Diamond Middle School National History Day team that won second place nationally in their category. He was a Missouri Master Naturalist. He actively volunteered for the Missouri Naturalist and George Washington National Monument. He was also active in genealogy throughout his life and traced several family lines back to Adam and Eve. Tom was active in church throughout his life. While a member at Good Shepherd Lutheran Church, he was a past President and Elder, a member of the Shepherd’s Own Men’s Acapella Group and in 2010 began playing dulcimer with the Shepherd Strings. Tom is survived by children, Heather Ulrich (Tim), Jeff Danner (Courtney) and Cody Danner (Alona), his niece who was considered a daughter, Angie Casavecchia (Steve) his brothers, John C Danner, Jr. and Bob Danner, grandchildren, Jonathon, Joshua, Nathan, Reagan, Hailey, Tyler, Hannah and Lucy and his dog Squatchie. He joins his late wife, Linda, who he was married to for 47 years, in heaven. Visitation will be at 10:00 a.m. and Funeral Services at 11:00 a.m. on Monday at Good Shepherd Lutheran Church, Carthage, Missouri. Reverend Silas Mehl will officiate. Burial will be at Saginaw Cemetery. In lieu of flowers, memorial contributions may be given to the Missouri Master Naturalist Society, in care of the mortuary. To send flowers to the family of Thomas "Tom" Danner, please visit our Heartfelt Sympathies Store.